(Beirut) – The Qatari cabinet has reportedly approved a draft law allowing children of Qatari women married to non-Qataris to acquire permanent residence but not full nationality, unlike children of Qatari men, Human Rights Watch said today. Permanent residents can get free government health care and education, but do not receive a Qatari passport to travel freely. Media reports on August 3, 2017, citing the Qatar News Agency, said the Qatari cabinet had approved a draft law that will allow permanent residence for children of Qatari women married to non-Qataris, as well as expatriates who “provide outstanding services to Qatar.” The proposal comes in the wake of urgent calls for Qatar to amend its nationality law to allow such children automatic nationality, as many face family separation and restrictions on travel during the current Gulf political crisis. No Gulf Cooperation Council (GCC) country allows dual nationality. Alldiscriminate against women by not allowing them to pass nationality to their children on the same basis as men, in violation of these countries’ international human rights obligations. Qatar, like other Gulf states, allows men to pass citizenship to their children, whereas children of Qatari women and non-citizen men can only apply for citizenship under narrow conditions. Human Rights Watch met with the prime minister and justice minister in Doha on July 24, urging them to grant automatic approvals to children of Qatari women applying for nationality, as an interim immediate step to amending its nationality law. Under the 2005 law on acquisition of Qatari nationality, people who have lived in Qatar for more than 25 years may apply for nationality, with priority for those with Qatari mothers, under specific conditions. However, the government has not consistently approved such applications. A 36-year-old man born in Qatar to a Qatari mother and Bahraini father told Human Rights Watch in June that he had applied for Qatari nationality six years earlier, but had never received notification of a decision. If enacted, the draft law would help people born to Qatari women who are seeking secure residency status in Qatar even if they do not have valid passports from another country, which would otherwise restrict their ability to apply for residency cards. In the Middle East and North Africa region, Algeria, Egypt, Mauritania,Morocco, Tunisia, and Yemen provide equal rights to women and men to confer nationality to their children. In Iraq, both Iraqi men and women can confer nationality, but children of Iraqi women and non-Iraqi fathers born outside Iraq must meet stringent conditions to apply for nationality, unlike children of Iraqi men. On June 5, Saudi Arabia, Bahrain, and the UAE cut off diplomatic relations with Qatar and ordered the expulsion of Qatari citizens and the return of their citizens from Qatar within 14 days. The travel restrictions separated many families, and children of Qatari women now face the threat of punishment by some Gulf countries for remaining in Qatar. Saudis can face a three-year travel ban and a fine of 10,000 Saudi Riyals (US$2,600). On June 13, Bahrain’s Interior Ministry threatened its citizens who remain in Qatar with passport withdrawal and denial of requests for passport renewal. 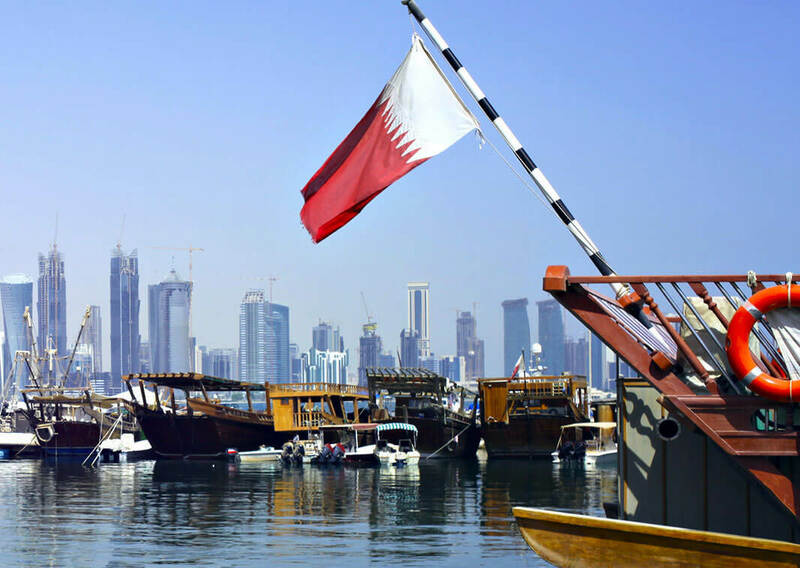 The Qatari draft law’s provision of permanent residence to migrants who “provide outstanding services to Qatar” could help Emirati, Egyptian, Bahraini, and Saudi nationals affected by the current diplomatic crisis. Many have chosen to remain in Qatar for family or work reasons or because they fear persecution in their home countries. That includes those working for Al Jazeera or beIN Sports, the Qatari-headquartered sports channel that was formerly Al Jazeera Sports. On June 23, these four countries issued a list of 13 demands to Qatar for ending the crisis that included shutting down Al Jazeera and other media they claim are funded by Qatar. Human Rights Watch interviewed 14 Al Jazeera employees – seven Egyptians, six Saudis, and a Bahraini – who said that they cannot renew their passports and are worried about losing their Qatari residency permits. Many feared returning to their home countries, where they said they would be prosecuted for their journalistic work with Al Jazeera. Qatar, like other GCC states, does not have a law on asylum and has not ratified the 1951 Refugee Convention. It has no procedures to allow those who claim a fear of persecution or other harm in their home countries to seek protection in Qatar or to challenge their deportation from Qatar. Human Rights Watch also urged the government during the July 24 meeting to ratify the Refugee Convention and establish domestic asylum procedures. Qatar News Agency said the Interior Ministry would establish a committee to review requests for permanent residency IDs in line with the provisions of the law. But, it is not clear whether the committee will grant such residency to those who fear persecution or harm in their countries of origin.